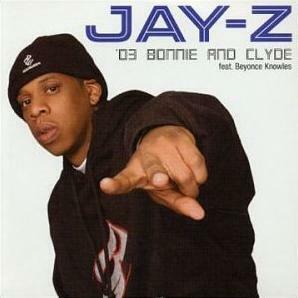 "'`03 Bonnie & Clyde" is a song by Jay-Z featuring R&B singer Beyoncé. It features samples of the songs "Me And My Girlfriend" by Tupac Shakur, and "If I Was Your Girlfriend" by Prince. "'03 Bonnie & Clyde" has lyrics written by Jay-Z and was produced by Kanye West for Jay-Z's seventh studio album The Blueprint²: The Gift & the Curse. It can also be found on the international editions of Beyoncé's solo debut album Dangerously in Love. Released in 2002, the single reached number 4 on the U.S. Billboard Hot 100, becoming Jay-Z's second top ten single and Beyoncé's first top ten single as a solo artist. It also reached number two in the UK, where it featured an album cover distinct from the U.S. cover. The single is notable for causing drama between Jay-Z and Toni Braxton over what she claimed was a stolen sample. The remake also features a sample from another Tupac song "Thugs Get Lonely Too".